Regardless of why you might want to make your own home made treats, you can rest assured that you don’t have to sacrifice flavor or miss out on your favorite foods, such as ice cream cups or dessert cups! Check these simple homemade alternatives for healthy ice cream cups bursting with flavor and nutrition! For those who follow a dairy free diet or those who are looking for a low calorie alternative to ice cream cups, homemade “nice” cream cups are an awesome alternative! Made with ripe, frozen bananas, “nice” cream cups full of flavor, not fat. 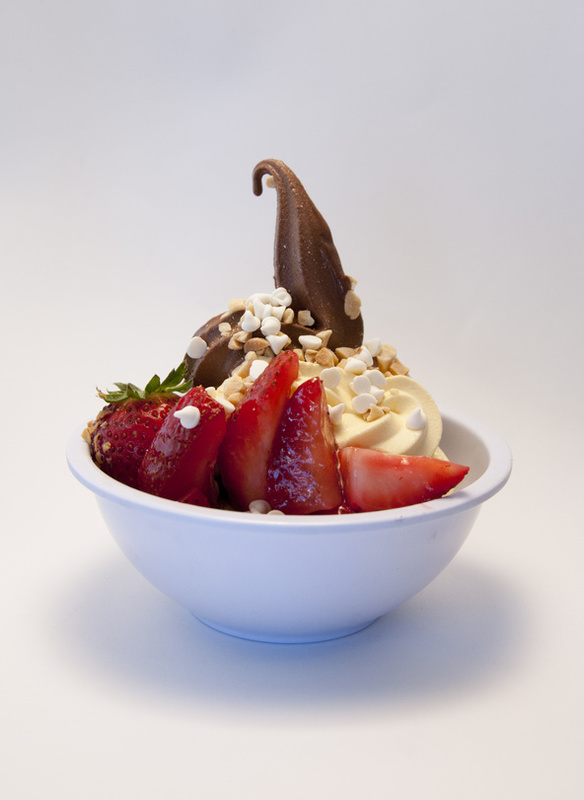 All you have to do is blend frozen bananas in a blender until smooth and creamy and serve in ice cream cups. That’s it! Feel free to mix in your favorite ingredients such as peanut butter or chocolate chips (or both!) and finish with your favorite toppings. Fruit cups are a light and refreshing alternative to ice cream cups, and they can be just as delicious. Simply freeze your favorite berries or fruit and blend with a splash of dairy or plant based milk until smooth. Top with frozen berries and a dollop of fresh cream or coconut cream. After one bite, you’ll never think of fruit cups the same! Who says a smoothie has to be served in a slurpy style cup? Homemade smoothie bowls are a fun, delicious way to enjoy a smoothie. Frozen bananas are a great base, and from there you can your favorite dairy or plant based yogurt, fresh or frozen fruit, and optional protein powder. For a touch of added natural sweetness, try blending in a date or two. Who knew something that taste so good could actually be so good for you?